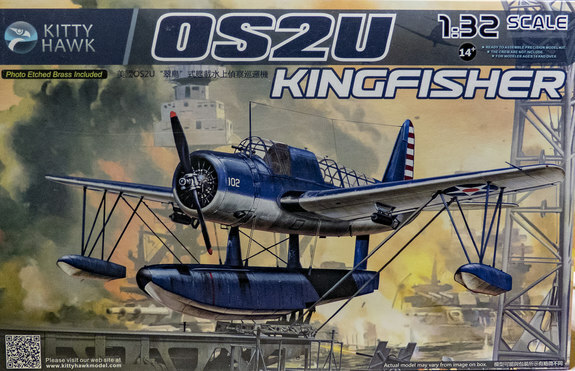 This book contains detailed instructions on building the OS2U Kingfisher 1/32 scale model aircraft from Kitty Hawk. See reviews at www.detailandscale.com/scale_model_book_review_How_to_Build_KH_OS2U_Kingfisher_Model_by_Glenn_Hoover_2017.html and www.largescaleplanes.com/reviews/review.php?rid=2053 See a 16 page sample along with photos of finished models and other books at glennhoovermodels.com. The actual model built with this book’s instruction won first place at a contest sponsored by the Delaware Valley Scale Modelers in May 2017 and was voted as one of the Five Favorites for 2017 I take the model kit instructions from Kitty Hawk and break them up into individual steps. I reorder the steps so that the small pieces (antennas, etc.) are assembled last which reduces the risk of damage when building the model. The steps are organized to insert the paint and decal steps in the best spot. I also incorporate Eduard’s Photo Etch set BIG3363 in with Kitty Hawk’s instructions. As most modelers know, it can be tricky to go back and forth between the model kit instructions and the PE instructions. I took out the guesswork and did that for you. The PE steps are colored in gray making them easy to skip if you just have the basic model. 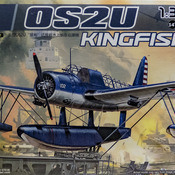 This book provides a little history of the Kingfisher, photos of the model kit contents including the photo etch frets, a detailed list of tools that I used to build this model, along with a list of paints. The actual instruction section is huge and contains 952 steps and 116 figures that tell you what to dry fit, glue, and/or paint for each individual piece. Each step instruction shows the source (i.e., either Kitty Hawk’s or Eduard’s instruction) along with a block for you to mark that you completed the step.